20" x 48" to 32" x 120"
ACC-DX column type grinders are specifically designed and built to deliver rugged performance, superb accuracy and long term dependability at an affordable price. 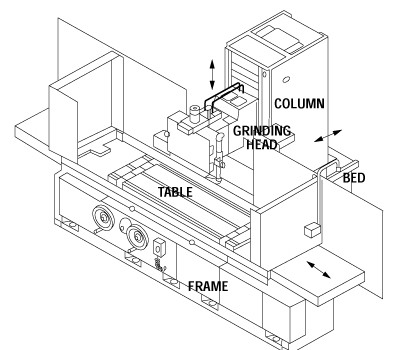 They utilize Okamoto's exclusive control system that simplifies grinding of large components. Vee and Flat table ways assure true tracking and greater table load support. Simple operation. Coarse Grinding, Fine Grinding, Spark-out and Tablr Stop are all displayed on the machine's digital display. Infeed increments as fine as 0.00005".